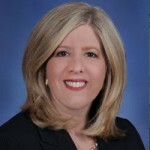 Linda Worton Jackson is a founding partner of Salazar Jackson, a Miami-based business boutique law firm that assists companies with all of their corporate and financing needs, and helps businesses facing financial challenges, class action lawsuits and government investigations. The Pebble Smart Watch raised $1 million in little more than a day. It eventually raised more than $10 million. The Misfit Shine wireless activity tracker sought $100,000 from investors. It raised almost $850,000 in a day and now is sold in major retailers like Apple Store, Best Buy and Target. The Scanadu Scout medical scanner that links to a smart phone sought $100,000 from investors, who instead steered $1.5 million in funding its way. In the annals of funding, no story of venture capital, banking funding or traditional lending is more impressive than these tales. In fact, neither traditional lenders, VCs nor bankers played any part in these success stories. Instead, the entrepreneurs behind these products and a growing number of organizations turned to crowdfunding to fund their initiatives. With crowdfunding services like Indiegogo, Kickstarter and a host of others, many start-ups, early-stage inventors and entrepreneurs have discovered that crowdfunding can deliver the capital needed, often without the onerous documentation, reporting or federal regulatory oversight of traditional capital sources. Done well, crowdfunding can be a powerful way to find capital beyond friends, family or “Bank Mom,” in otherwise stingy markets. 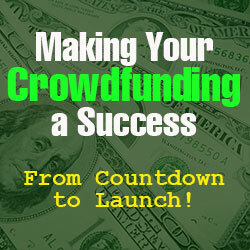 Here are some tips and proven strategies for preparing for a successful crowdfunding effort. Do your research. While the traditional market research expected of traditional lenders can be costly in both time and money. And, while crowdfunding investors are not nearly as demanding as traditional lenders, they still want to see that you’ve done some homework. However, instead of hiring market research firms, you can gather friends and family and conduct brainstorming sessions and focus groups. However it is important make sure your focus group consists of people from the target market – don’t stack your focus group with your parents’ peers if you’re bringing a toy to market. All demographics and psychographics will have some value to add, but including the target audience – kids, teens, adults, seniors, sports enthusiasts, nutrition buffs, tech geeks, etc. – ensures you get input from the right audience. Treat crowdfunders like bankers – sort of. One of the beauties of crowdfunding is that far less documentation and reporting is required than would be with traditional lenders, like banks or venture capitalists, who want collateral, projections, and a finely polished presentation. That’s not to say, though, that you go hat-in-hand and hope for the best. Prepare your documentation – team profiles, market research, marketing plan, costs of business, sales goals and distribution channels, etc. – to present to funders. Crowdfunders often want to know where their money’s going – the size of the operation, the number of employees, the costs of manufacturing or distribution, etc. How many of the products have you made and sold, or are you even that far along in the creation or manufacturing process? Be prepared to present the answers or to respond to the questions that might be asked. Expect nuanced questions – and expectations. Prospective investors may ask for copies of your business plan, or they may want to know who else has invested. Or they may not. They may ask for references or outsiders who will vouch for your character, or they may be satisfied with testimonials on paper or on your website (line those up in advance). The folks who invest through crowdfunding are not traditional investors, so their questions and expectations might be different from those coming from the typical banker. Do your research on questions past crowdfunders have asked, and expect the unexpected. Be detailed. Face it – you’re hoping to convince individuals to part with their hard earned money to back your venture, even as thousands of other crowdfunders also are hoping to entice them. While some crowdfunders are enticed to invest in a product’s “sexiness” or Wow! factor, some are convinced by the preparation, numbers and effort the entrepreneur put into the package. Where’d you come up with the idea? What problem will it solve? Who’s your target market? What sets your product apart from the competition? Who is the competition? Marketing plans excite investors. Investors like to know where they might see ads or marketing for their product. The marketing plan should outline where marketing and promotions will debut and run, and how much will be spent on each. Again, this doesn’t have to be a marketing plan behind a $10 million product debut. But make sure you have all the marketing bases covered to ensure a successful launch and a lucrative crowdfunding effort. Attend a Maker Faire. These show-and-tell events are somewhat unique to crowdfunding. Inventors and entrepreneurs showcase their products and ideas to interested crowdfunders, who may be seeing the product for the first time and emerge jazzed about the prospects of investing. You can use a more personal touch to convince visitors to view your idea and to visit your Kickstarter or Indiegogo page to learn more and invest. To learn more about Maker Faires, search online, subscribe to lists, or find events on social media, like Facebook or Twitter. They are spreading all over the country and tend to be in a city for a day or two at a time. Overlook no investors. My 11-year old son recently attended a Maker Faire with me and saw a product he liked. After that, he came home and did his research. He ultimately invested money in the product, which went on to some success. Though he only invested $10, it was his money and gave him a feeling of engagement with the product. Frankly, he would have invested more if his Mom would have allowed it. Involve your investors – to a limit. Some crowdfunders are 11 year olds jazzed by a cool tech toy. Some are former CEOs and sophisticated investors with money to invest and wisdom to share. Some might offer their advice and others might expect their investment will come with a “seat at the table.” Investment should give investors no expectation of authority or a deeper role in the organization. But realizing the value the public can bring, seek their advice, especially because engaged investors often are more confident investors. You might also create an advisory board comprised of your most experienced investors, maybe a business school professor, or others hand-picked for their market knowledge, belief in your product and willingness to share their knowledge. Before “going public,” set up your website and crowdfunding page. Like going to a networking event and saying, “My business cards are at the printer,” don’t go to a Maker Faire or court prospective investors without having a place they can visit to learn more or make their investment. Set up your website and crowdfunding page before you begin the hunt for money. Prepare your social media, including video. Face it, we live in the age of video. People want to see products in action. Shoot and post videos of your product, of yourself, your partners or satisfied customers discussing its process or benefit. Post those to your social media and build your following. Crowdfunders like to know they’re not backing a product that exists in a vacuum.. Remember a picture is worth a thousand words, and a video is worth multiples of that. Crowdfunders love bling. Some crowdfunders invest in products, services or ventures to which they become emotionally attached. Deepen that bond by serving up some bling. Hats, t-shirts, pens, flash-drives, these all make the product “real” and give your investors a product touch-point even before the product may be live. It also creates a marketing tool where the investors show it to other potential investors. Just don’t spend all the money you are raising on promotional items. None of this is to say crowdfunding should be treated any less seriously than traditional sources by those seeking capital for their ventures. Government rules must be followed (crowdfunding is limited to raising $1 million over the course of 12 months; families and private investors have no investment limits in private offerings). Some funding services themselves have requirements. Remember, the market is rife with competition, and savvy crowdfunding investors are growing more cautious about where they place their money. Invest the time to perfect your product, do your research, prepare your plans and documentation, research your prospective CF investors, and be prepared to sell, sell, sell.